“We were under no illusions that the discussions would be the final word. This was always going to be something that people higher-up in both governments will have to decide,” a senior U.S. law enforcement official said. 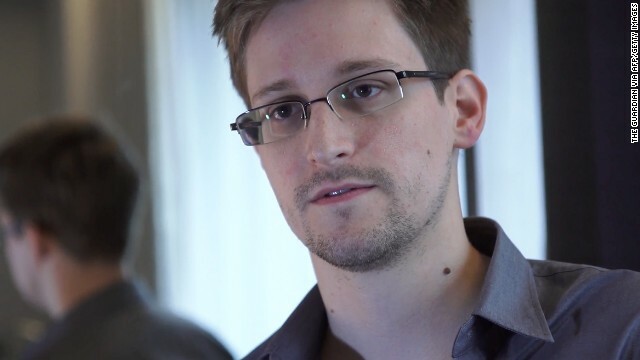 U.S. officials said that while they expected the possibility for Russia to grant some form of asylum to Snowden, they were not given any advance notice from Russian officials before the announcement. In recent weeks, the Obama administration and Russian officials appeared to prepare for the expected asylum decision, removing it from the context of a personal standoff between President Barack Obama and his Russian counterpart Vladimir Putin. Russian officials tried to portray Snowden’s fate as something better left to law enforcement. The Obama administration released a letter from Attorney General Eric Holder to Russian officials promising that Snowden wouldn’t face a death sentence, if convicted, and wouldn’t be tortured if he were turned over to face U.S. criminal charges. Other parts of the two governments are still working to limit any damage to broader relations. The United States and Russia are still on track to hold a top-level meeting in Washington next week in preparation for the upcoming G-20 meeting in St. Petersburg, Russia, in September, according to a U.S. official. But the White House said on Thursday that it was reconsidering a planned summit between Obama and Putin in Moscow ahead of the G-20. "We are evaluating the utility of a summit," presidential spokesman Jay Carney said. Key topics on the overall U.S.-Russian agenda include missile defense, nuclear arms reductions and the crisis in Syria, the official, who spoke on the condition of not being identified, said. Separately, Pentagon spokesman George Little told reporters that “we obviously want to maintain our relationship with the Russian military.” But he also emphasized that he had no “announcement” on any upcoming meetings with the Russians. How do i contact Mr Evan Perez,cnn justice reporter? why just asylum, make him a citizen to Putin, we don't need him. I have a better idea, Phunnie boy. Let's drop all charges against this young man since he did us Americans a great service by exposing what those goons were doing by hacking into our privacy. Don't you agree? To make myself clear Phunnie boy, I was talking about those goons at NSA who were spying on the rest of us. These are the guys who need to be prosecuted, not Edward Snowden!!! Good posting, Navyvet8192. Thank you very much! I get so sick and tired of reading all these anti-Russian, anti-Snowden posts here. Just what do these people do for brains anyway? Did any of them ever finish grade school? It doesn't appear that way!!! You are crazy my friend ...get a life. I for one say Congrats to Mr. Snowden, and Thank You to Russia for having the courage to accept and approve his asylum request. I know it is for only 1 year, but maybe if he sufficiently learns the Russian language and history along with demonstrating a job skill that would make him a beneficial citizen to the country he could apply for citizenship there and get a true fresh start. What more could a parent want for a son who made such a sacrifice to shed light on the wrong doings of the US Intelligence apparatus against it's own citizens. Again Congrats Mr. Snowden! If Russia so great why don't you move there, Snowden won't last a year. THE MANY ENEMIES OF THE US THAT MAKE UP THE WORLD.....are our fellow neighbors here in the US.. jews, russians, chinese... these people are AMERICANS... so what only where they come from is evil? or has all that WW2 cold war propaganda removed your ability to think criticly? Let him stay in Russia but he should remember always that if he does to the Russians what he did back home they will shoot him.